General Ridgeway orders the 1st and 9th Corp to abandon Seoul, the capital of South Korea which falls to the Chinese Army. The Eighth Army retreats to the south. The American destroy the port of Inchon and the Kimpo airfield. The Chinese Army does not fully follow the Eighth Army all the way to the South and the Eighth Army retake ground. The American win the second battle of Wonju and retake the city. 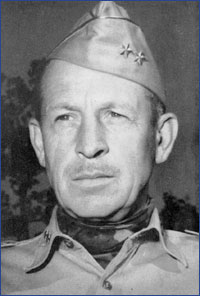 A biography of Major General Bryand Moore the new commander of the 9th Corp.